Starbucks has been a successful company over many decades largely because of its stellar business strategies. The company expertly employs market research to keep its offerings and marketing messaging in line with consumer sentiment. Market research can take many different forms, including following cultural trends, monitoring social media, gathering consumer feedback and in-store product testing. Starbucks does all of these and more. One notable way that Starbucks conducts its own form of market research is through its My Starbucks Idea platform, which it rolled out in 2008 as part of the company's "Transformation Agenda" at the time. Since then it has gone through some different iterations, but the basic idea behind it remains the same: customers, potential customers, and employees can go to the website to submit any ideas they have for new offerings, changes they’d like to see to anything that already exists, requests to bring back old products, and more. The company also takes advantage of social listening, which involves monitoring digital platforms such as Facebook, Instagram, Twitter, and Reddit to find out what customers are saying about the brand and collect feedback that could help the brand improve. As of December 2018, Starbucks had 11.5 million followers on Twitter, 17.3 million followers on Instagram, more than 37 million likes on Facebook, and nearly 200,000 subscribers on YouTube. 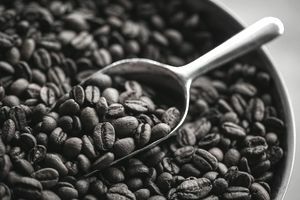 Starbucks regularly tests new products in select stores, which helps the company figure out if it needs to make any changes before launching them in other markets — or if it will even continue the launch in other markets. Starbucks also uses data from several market research firms, as well as data gleaned from its own stores, to shape its new product lines. Examples of how Starbucks has used market trend data, digital consumer feedback and in-store product testing are the launches of its dairy-free milk alternatives. Market research company Mintel reports that during the period from 2012 to 2017, overall sales of dairy-free milk alternatives in the U.S. grew 61 percent, with almond, coconut, and soy milk being the most popular types. Starbucks has kept pace with this trend among health-conscious consumers and customers with special dietary limitations. The company began offering soy milk in 2004. In 2015 it launched drinks with coconut milk, and in 2016, it began offering almond milk. Starbucks also began offering oat milk in its European stores in 2018 to keep up with trends there. The company says that a major reason that it launched these dairy-free milk alternatives was that they were some of the most requested offerings on its My Starbucks Idea platform. During 2014, the company also tested the use of coconut milk in stores located in Cleveland, Los Angeles, and Oregon. The results of the tests and combined market research were positive enough for Starbucks to begin rolling out coconut milk nationwide.